Unique retail environment leveraged by Baltimore-based Under Armour to engage consumers and build awareness of Vancouver 2010 Winter Olympics. 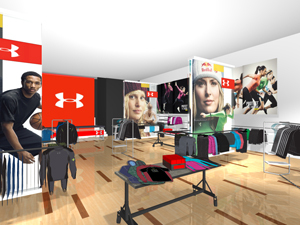 Under Armour Opens NYC Pop-Up Store. Would You Buy a Broken Cracker?